Not Lame! Very Cool! 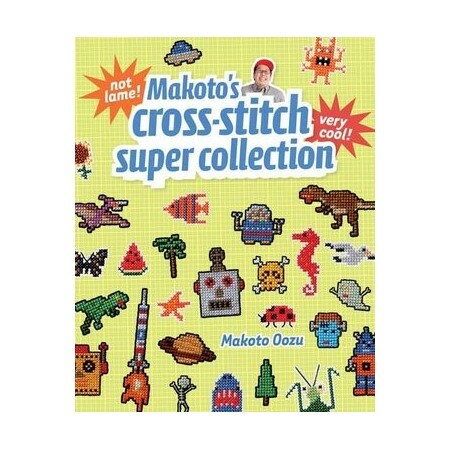 Your friends will want to be you and your enemies will be super-jealous once you start stitching figures from Makoto's Cross Stitch Super Collection. Cross stitch phem Makoto Oozu teaches you cross stitch basics and then introduces you to his world of stitched robots, insects, artillery and more. De-lame your tote bag, your special trucker cap and your undies by stitching them with dancing skeletons, Big Ben and old-school electronics. With over 100 images and 10 projects to choose from, you can make everyone's stuff cool. Cross stitch + Makoto = Super Awesome!